The evolutionary framework applied to marco-environmental challenges is also highly relevant to micro-environmental challenges, such as tumorigenesis. Similar to abiotic and biotic selection processes imposed on organisms, the cellular micro-environment (e.g. immune system), may impose analogous selective regimes on individual cancer cells. Cells which acquire selective advantages via genomic and/or epigenetic modifications are able to proliferate autonomously, avoid immune recognition and undergo clonal expansion resulting in tumour development. Therefore, theory and techniques applied in studying life-history trait variations on a macro-environmental scale can be applied to explore tumour formation and evolution on a micro-envrionmental scale. 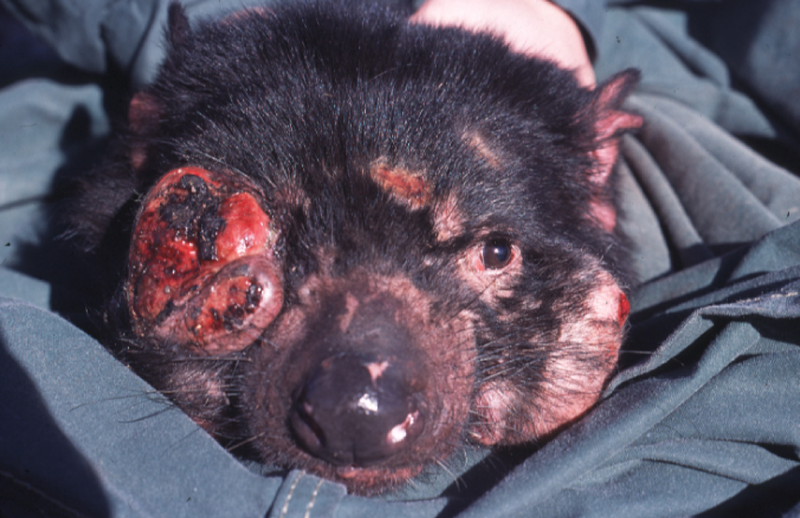 During the last couple of years we have been using a Darwinian approach to explore the progression and evolution of cancer, including the Tasmanian Devil Facial Tumour Disease (DFTD), a clonally transmissible and highly contagious cancer. Since their emergence in 1996 Devil Facial Tumour cells have undergone continuous division and propagation in thousands of devils without exhausting their replicative potential, suggesting an apparent capacity of self-renewal and incredible adaptability to the host’s microenvironment. Moreover, the persistence of DFTD is unique as the tumour cell line has survived long after the death of the original host. Both its longevity and the large number of transmission events may have provided the disease with significant opportunities for evolutionary change. Surprisingly, we discovered that while genetic stability ensures DFTD proliferation, epigenetic plasticity supports DFTD transmissibility and adaptation to novel hosts. Our research has unambiguously demonstrated the crucial role of epigenetic modifications in DFTD evolution. Although we did not observe any spatial genetic or epigenetic variations between DFT karyotypic strains, I detected significant temporal shifts in tumour methylation, clearly demonstrating the evolutionary capacity/potential of DFTD and, importantly that the cancer is not a static, but an evolving pathogen, which uses epigenetic plasticity to adapt to the environmental challenges of host’s microenvironment. Furthermore, for the first time, we demonstrated active demethylation of a cancer epigenome, which will have further significant implications on understanding the role of epimutations in the evolution not only of this parasitic cancer, but also human and animal cancers. In an additional study, focused on investigating the role of polyploidy in DFTD evolution, we have also demonstrated that anthropogenic intervention (removal of diseased animals from a selected population) has accelerated cancer evolution in the Tasmanian devil tumours. These studies clearly demonstrate the capacity of DFTD to rapidly respond to novel selective regimes and micro-environment changes, therefore our work has a profound message for the management of the disease: human actions aimed at stopping the spread of this disease should be mindful of not disrupt the evolutionary stable state of the cancer, and that this cancer should not be treated like a static entity, but rather as an evolving pathogen.